as the name of the executable. Your script will be passed at least 4 parameters, from $1 to $4. Any other parameters you define will be passed in as $5 and higher. Make sure your script returns an exit status also. # Then copy the file from source location to target location. # If copy fails send the error status/message to concurrent program so that user can see status. # the $? will contain the result of previously executed statement. The CONCSUB is a utility which allows you to submit a concurrent program to the concurrent manager from the operating system level without having to log on to Oracle Applications. The CONCSUB executable is located at $FND_TOP/bin/CONCSUB. You can use the CONCSUB to execute both seeded and custom programs in Oracle Applications. In case of custom programs they must first be registered in Oracle Applications before you can execute them with CONCSUB. The log and out file for this program is also created at the location defined by your $APPLCSF/$APPLLOG and $APPLCSF/$APPLOUT respectively. The WAIT=Y/N is used to specify weather to wait for the first concurrent request to be completed before the second is submitted or not. You can also use various printing parameters with the COCNCSUB to directly print the output of your concurrent request. Sometimes the shutdown of the concurrent managers via the CONCSUB utility using the SHUTDOWN clause hangs and you may want to terminate your concurrent managers, in such a case you can use the ABORT clause with CONCSUB to do a force shutdown of your concurrent managers. In this case a concurrent request to terminate the concurrent managers is fired with a -75 priority. In case of the shutdown the priority is 0 and default priority is of a concurrent request 50, by assigning a -75 priority the CONCSUB ensures abort is executed before shutdown. Needless to say that the shutdown would fail in case the SYSADMN user or the System Administrator responsibility is inactive. This is located at $FND_TOP/bin/startmgr. What does $# stand for? # will return the number of parameters that are passed as the command-line arguments. $? will return exit status of command .0 if command gets successfully executed ,non-zero if command failed. What are Different types of shells? 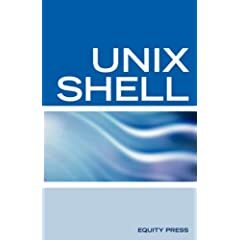 How do you read arguments in a shell program – $1, $2? What are the different kinds of loops available in shell script? What is the difference between a shell variable that is exported and the one that is not exported? The Shell variable which is exported would available to all the programs outside the Shell also. And the shell variable which is not exported, would available for that shell or for the shell program only, in which the variable is declared. will make the variable LANG the global variable, put it into the global environment. All other processes can use it. will change the value only in the current script. If you have a string “one two three”, which shell command would you use to extract the strings? How will you list only the empty lines in a file (using grep)? How would you get the character positions 10-20 from a text file? How would you replace the n character in a file with some xyz? where 1 shows that the search string will start searching patterns from first line of the file. What is the difference between a ‘thread’ and a ‘process’? What is this line in the shell script do ?#!/bin/ksh? What is use of “cut” command? Give some examples. Cut – Utility used to cut/Strip out the required data/text from the source. Stripping by delimiter and fields.